I have a little addiction to a silly video game called Terraria. I found out about this game when I got my PS4 for Christmas in 2015 while playing Minecraft. It said Also try Terraria on the Minecraft logo, so I found it in the PlayStation store and bought it. I didn’t love it immediately because I wasn’t sure how to play it, and I kept getting killed at night and it was frustrating to keep burying myself whenever the zombies came out at night, much like Minecraft lol. But once I started to play it more, I became addicted and eventually over time I bought the PC version and the Android version. I have it installed on my Nook HD+, but recently I decided to install it on my cell phone so that I could play it anywhere. I uploaded my world to the cloud from my Nook so I could use some of the items I had gotten before on my phone. I created a new world, because it’s always fun to start over and build a new house, even though I build the same exact house every time lol. Anyway, I uploaded the world a couple more times and eventually it wouldn’t allow me to access the cloud. Every time I would click the cloud save, the game would freeze up for about 10 seconds before crashing. I’m sure anyone would understand just how frustrating that can be. I tried accessing the cloud worlds from my Nook, but no go. I even installed the game on my old android phone and still couldn’t access the cloud worlds. My only alternative was to go to Google Play for help. Their help sent me to my email app to send an email to them. I got an email to sign up on their website so I can submit a ticket, which I did late on Friday. Today is Monday and I finally got a reply. They sent me a link to a fix, which I didn’t read right away, but they sent me the link again and I read it and apparently when you save your game to the cloud, your worlds and characters go directly to your Google Drive into a folder called Terraria. I had no idea lol. I didn’t have any special world that I needed anything from. Everything was basically just backup, so I deleted all the files and went to the game and it took a minute, but it cleared up the issue and now I am able to use the cloud again. Here’s a little cheat tip. If you back up your world on the cloud, then access the back up, then go into one of your bags and grab things, like for example ore, you can exit out and go back into the cloud world and it will still be there as if you never touched it. Use this tip only if you must. Don’t use this tip if you think it might ruin the game for you. I actually did that so that I could duplicate the hearts so I could get the max amount of hit points without having to search for more hearts. I know it’s bad, but I just can’t stand dying so fast, but now I have to deal with the Eye of Cthulhu before I’m ready, so that’s on me. Anyway, I hope you found this cloud fix and my cheat tip useful. 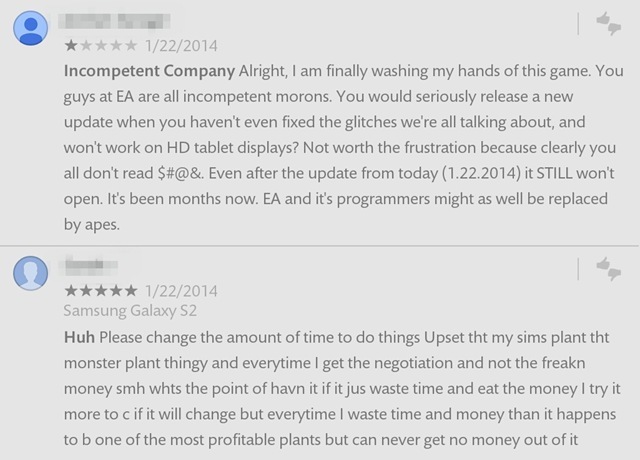 The Sims FreePlay has finally given us an update and not everyone is happy about it. Well, I should say they aren’t happy because EA still has not addressed some of the issues that some of us are having with the game. 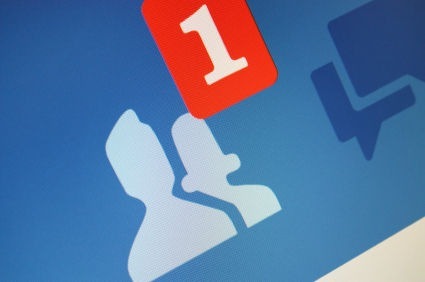 There are really only two issues that I am having, like not being able to log in to Facebook in the game which would allow me to access the party boat to claim daily prizes based on how many Facebook friends I have who also play the game. It also allows me to visit those friend’s neighborhoods and interact with their Sims characters. They have tasks that you have to perform to earn a special currency called SP’s to spend on specific items in the store. If I cannot earn that currency then I will not be able to buy those items. The other issue that I am having is that I cannot play the game on my new Nook HD+ that I got for Christmas. I have been playing this game on my Android phone since last year and I’m perfectly okay with playing it on there because that is mainly the only reason I even use my phone anymore. Ever since I got my Nook, I’ve uninstalled most of the apps that I used to use on a daily basis because they were causing The Sims FreePlay to constantly crash. Since I can use those apps on my new Nook, I don’t need them on my phone anymore. Some people are reporting problems that they are having that I don’t seem to be having. They are also really irate that EA has not addressed their complaints. Here are just 2 comments. I blurred out their names for their own protection. The first one is negative, the 2nd one, well, if you can understand what that person is saying then you decide lol. That person is having issues that I am not having. You know, I am just as miffed as the next person, but let us all have a little perspective here. This is a free game. You don’t pay for it, you get to play it for as long as you want for free. There are premium items you can buy with real life money, but you don’t have to buy them if you don’t want to. Be lucky they are giving us all of these updates because their other game The Sims 3 which is also available for your Android device will cost you $6.99 and from what I have read in the comments there, that game doesn’t have nearly as many cool features and items as the FreePlay game has. Also, you should be so lucky to have your Android phone or tablet because there are many people in this world who don’t have such luxuries. There are children who are being abused by their parents, some even murdered. There are entire families who are starving and sleeping in the streets because they aren’t as lucky as you. There are people in this world who are being molested, raped and murdered. There are teenagers who are kicked out of the house and end up living on the streets for years simply because they came out of the closet to their parents. There are gay kids being targeted, beat up, some even raped and then murdered in Russia because Vladimir Putin gave them the okay by making being gay illegal. There are gay people living in Uganda who are being murdered or raped, or both. And finally, there are people being stoned to death in the Arab countries for the same reason, because they are gay. So chill out, it’s just a silly little game. Count your lucky stars that you even have the money to play the game on your expensive little toy. I am just as miffed at EA because the Facebook issue started when they put out the Halloween update and I have waited all this time and was let down yesterday when I couldn’t log in with the new update. I understand how frustrating it is. I was also let down when I couldn’t play it on my Nook, but even if I could play it on my Nook, if I can’t log in to Facebook to upload my progress, then how will I be able to continue from where I left off on my phone when I try to play it on my Nook? Someone told me to just buy a Kindle. Um… I have a Nook. I can’t just go out and say “hey take my Nook and give me a Kindle.” It doesn’t work that way. My Nook is a Nook HD+ with 32 GB which only cost $150. The Kindle Fire equivalent is $444 (see below). So yeah, I will not be buying a new Kindle just so I can play The Sims FreePlay. Even if I did, I still have the Facebook issue. If I can’t back up my game, then what point is getting a Kindle Fire to play it on? One person even said to just go out and buy the cheap Kindle Fire. Again, even at the low price of $139, I still have the Facebook issue to deal with. Besides, why do these people think I have money lying around that I can just go out and buy all these new things? I just cancelled HBO and Showtime because I needed that extra $30 a month. How am I supposed to go out and buy a second tablet that I will only use to play The Sims with? I put $20 into savings and had to take it back out just to buy groceries. Come on, think it through people. I bought my HTC One V for Virgin Mobile from Amazon in December and one of the first apps I installed was Viggle because a friend uses it and posted the advertisement on Facebook. I’m always looking for ways to get rewarded for doing things, like surveys, blogging, tweeting, installing and playing games and whatever else I can do. Well, Viggle gives you rewards just for watching TV and doing trivia during your shows. Since December I have been racking up points. I had over 63,000 points and I was saving it for a really expensive reward, the Kindle Fire or Kindle Fire HD. The problem is, those are 482,500 and 560,000 points and well, let’s just say if it has taken me 6 months to get 63,000 points, I’m sure it will take me a long time to get the Kindle, so I figured I might as well pick a reward of lesser value for now. I decided to get the Barnes & Noble $25 gift card for 50,000 points. This is what I bought. The Hunger Games Trilogy by Suzanne Collins for $24.49. I waited for a few days after getting my Viggle reward because I wasn’t positive what I wanted. I can’t recall exactly what made my decide on The Hunger Games, but I suddenly remembered that I wanted to read the books before seeing the movie. I wanted to buy many ebooks at .99 cents each because then I could buy 25 ebooks, but I think getting this trilogy was better. It’s not the quantity of the ebooks that matter because chances are I’m not going to have time for all 25 ebooks, and who knows if I will feel like I made a huge mistake because the books aren’t quality writing. So I’m glad I bought this trilogy rather than a bunch of books I may not like. Although I’m not positive I will like the hunger games, but I know it is something that I am interested in so I’m sure I will. I have started reading the first book, but haven’t gotten too far because I just didn’t feel like reading. I have to be in the mood to be able to really get into it, and I don’t want my lack of interest in reading to make me like or hate a book. I will wait until I’m ready to start reading it. I actually have a few other books that I’m halfway through that I would like to finish before starting another story. Anyway, I just wanted to say that Viggle is a good app and this is proof that you do actually get rewarded for watching TV. Has anyone ever seen this issue before? If you have an Android phone and a SanDisk memory card, you probably have. So this is my problem today, well, last night anyway. 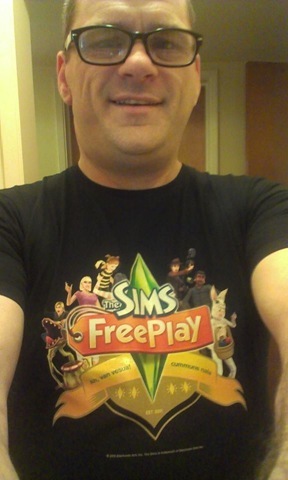 It was 8 p.m. and I was logging into The Sims FreePlay to send my 7 p.m. and 9 p.m. Sims to work. As it was starting to load, it crashed to the home screen and I see this message “SD card unexpectedly removed.” What the…? I rebooted the phone and tried to load the game and got this message again, and again, and again. I Googled the problem and read in a few forums that my microSD card is most likely no good and that I would need to buy a new one. Well, I bought this card in January, how could it be bad after only 5 months? One of my concerns was that I might have lost all of my pictures, because I never backed any of them up. Some of them have automatically been privately synced onto Facebook, but not all of them, so if I lost all of my other images, I was going to be very disappointed. I went into the pictures and they all had that triangle with the explanation point. FRAK! I rebooted the phone and they were all there, but then they disappeared… they came back and I was able to upload everything album by album onto Google Drive. WHEW! 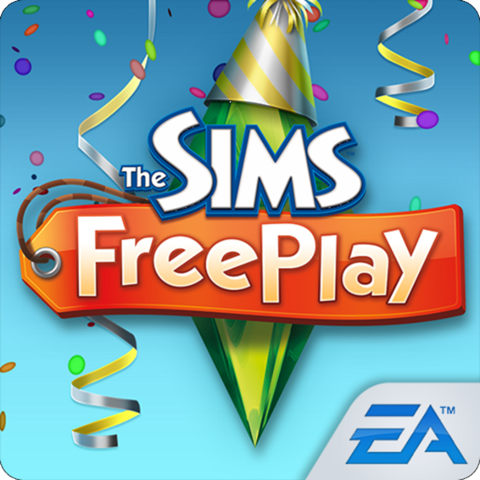 So another one of my concerns was that I haven’t backed up the Sims FreePlay in a few days, so all of the work that I have done will disappear and I will have to continue from where I left off the last time I backed it up to the cloud, which backs it up on Facebook. Fortunately the game loaded last night and I was able to do a backup, but then this morning I got the “SD card unexpectedly removed” issue again, so I knew that I wasn’t out of the woods just yet. This morning I went into the app management screen and saw that all of the apps on the microSD card were showing their icons, except for The Sims FreePlay. Knowing that it was backed up on Facebook, I uninstalled the game and tried to reinstall it. The first attempt wasn’t successful because it told me that it couldn’t install it, but then I tried it again and it worked. I was able to send my 10 a.m. Sims to work on time. I really don’t care if I have to buy a new microSD card, that is unimportant, what is most important to me is that I don’t lose my pictures, and I haven’t so I’m okay with it. I only paid $20 for it which was a good price considering the Best Buy Mobile store at the mall was charging $35 for the PNY 32GB microSD card and $70 for the SanDisk 32GB microSD cards. That is a lot of money. Too much for my blood. Last night after I backed up all of my pictures on Google Drive, I went through my apps and uninstalled a bunch that I never used that were on the microSD card. I don’t know how many apps I uninstalled, but it was a lot. I’ve been messing around with it after I reinstalled The Sims FreePlay today, and after rebooting it a couple of times found that one app is showing up weird in the App Management screen, so I uninstalled it. I moved a lot of apps to the phone so that I don’t lose the data so those are fine. Everything seems to be okay with The Sims FreePlay now after I have rebooted the phone and tried to go into the game. I’m sure I don’t even have to buy a new card, but just in case I do, I will be very careful to back everything up. Like if I take a picture, I will back it up with Google Drive and if I play The Sims FreePlay, I will upload my data to the cloud just to make sure I don’t lose any progress. If I have to buy a new microSD card then no problem, but for now I don’t think I have to worry about it. Have you had these same issues? If so, what was your solution? Enquiring minds want to know!